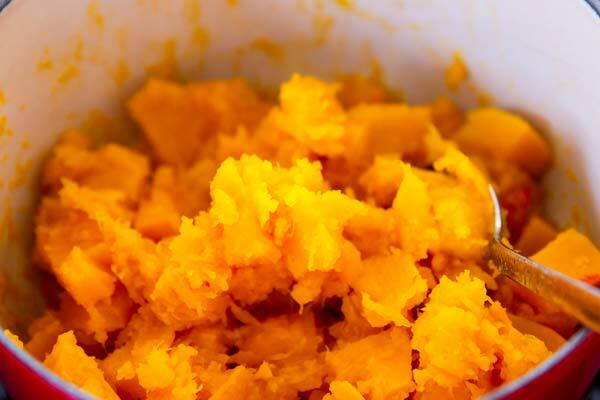 Ever wondered how to make pumpkin purée? It’s the easiest thing ever! 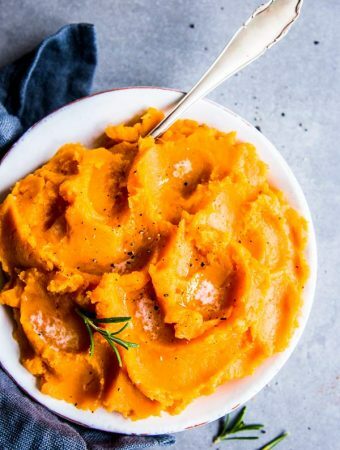 All you need is a pumpkin, your stove, a blender and 30 minutes of time. I make my own pumpkin purée all the time to avoid buying canned food (absolute Trim Healthy Mama purist over here, ahem). 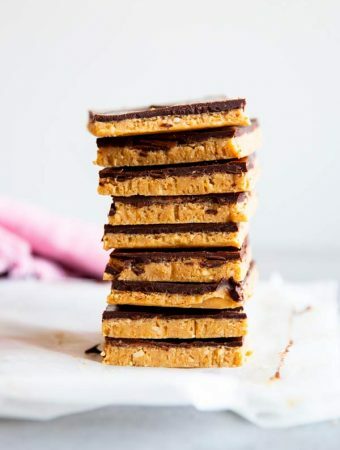 This is super easy to freeze, too, so you can stock up! Every year come August (yep, August) I see cans of pumpkin popping up on Instagram. But why buy canned when you can make your own? 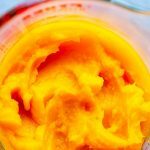 Homemade Pumpkin Purée – Why the hassle? 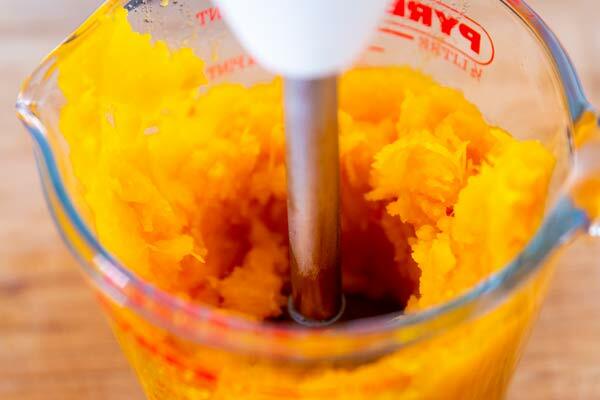 So you might wonder… What’s the deal with making your own pumpkin purée, when it’s so much easier to just buy it? Also, it’s SO easy you don’t have any excuses not to try it. First, you have to get your pumpkin. According to the internet, sugar pumpkins are generally best, though I have even made purée from butternut squash and it works just as well, it’s just not as orange. Avoid pumpkins and squashes that are on the stringy and sometimes watery side, like spaghetti squash or acorn squash. Peel the pumpkin, deseed it and hack it up into pieces. Now I know there’s all sorts of tutorials for slow cooker pumpkin purée and roasted pumpkin purée… Come on. I’m not that organized, ever. … which is why I steam it in a pot on the stove, with just a little water added to cover the bottom of the pot. Just keep it covered and stir from time to time so the pumpkin doesn’t brown on the bottom. 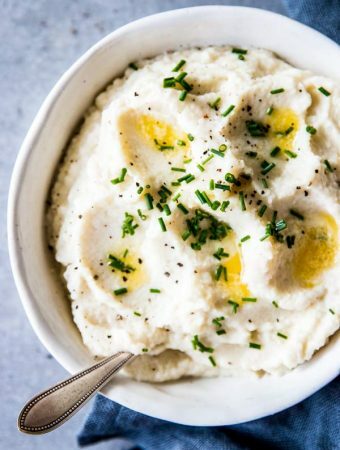 It usually takes 10-15 minutes to get buttery tender like this. Drain very well, then put back in the pot and over low heat to steam off any excess water. Again, watch out so it doesn’t start sticking to the pot! And it will look messy, don’t worry. All that’s left in the end is to blend it. I use my immersion blender, because it’s quick and easy. For extra-smooth pumpkin purée (like for feeding to a baby) I always use my Vitamix. 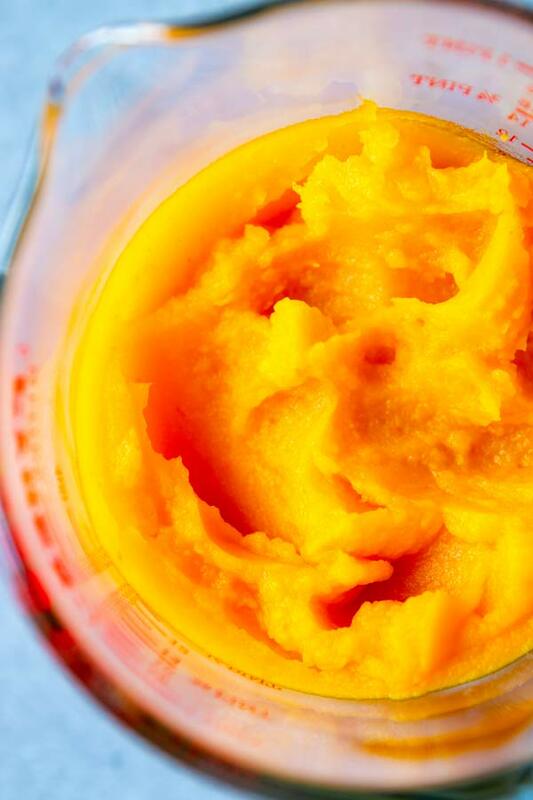 Wondering how to make pumpkin purée? It's so easy! 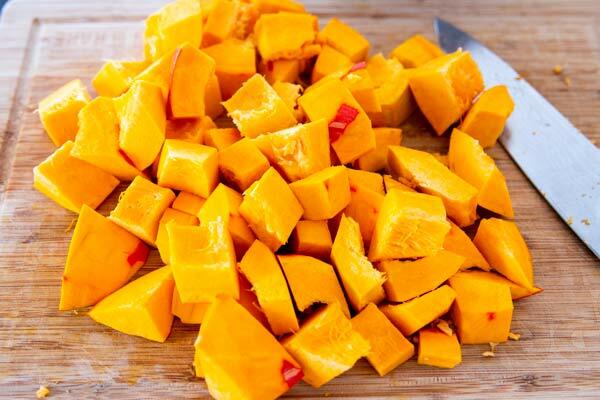 All you need are a pumpkin, a stove, a blender + 30 minutes of time. Cover the bottom of a large pot with water. Add the pumpkin and cover the pot with a lid. Bring to a boil, then reduce to a simmer. 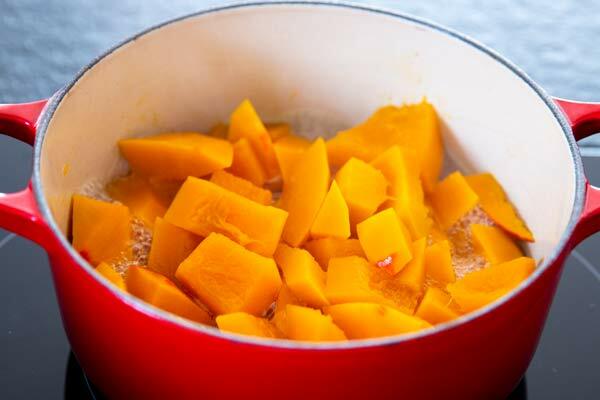 Cook the pumpkin for 10-15 minutes, or until buttery-tender. Stir from time to time to make sure it doesn't stick to the bottom of the pot. Add a little more water if necessary during cooking. Once the pumpkin is tender, drain well. Add back to the pot and put over low heat. Stir and let any excess water steam off until the pumpkin is mostly dry. 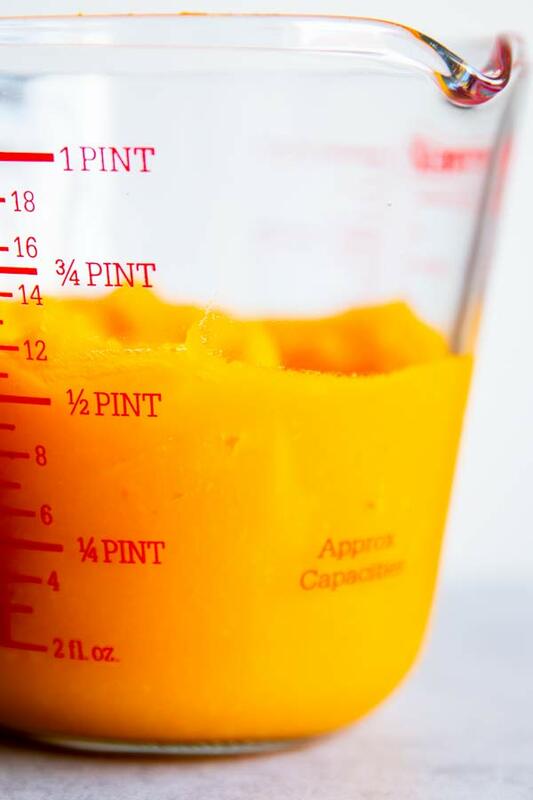 Blend the pumpkin until smooth. 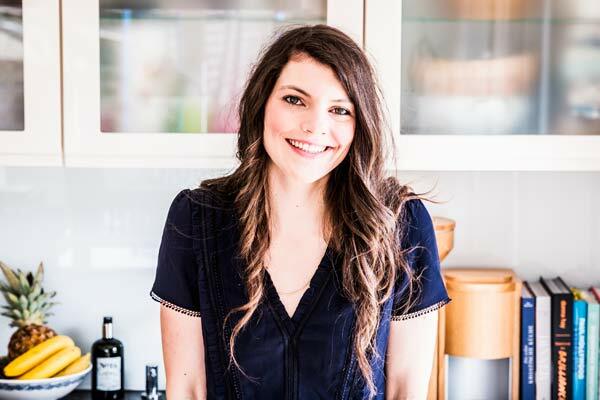 Allow to cool to room temperature before packing and freezing for up to 3 months (see post for details).